What’s the Deal With Dimensional Shingles? Shingle roofing is the most common type of roofing material in America today. However, that doesn’t mean that all shingle roofs are the same. The best example of this would be dimensional shingles. How exactly are they different from regular shingles? 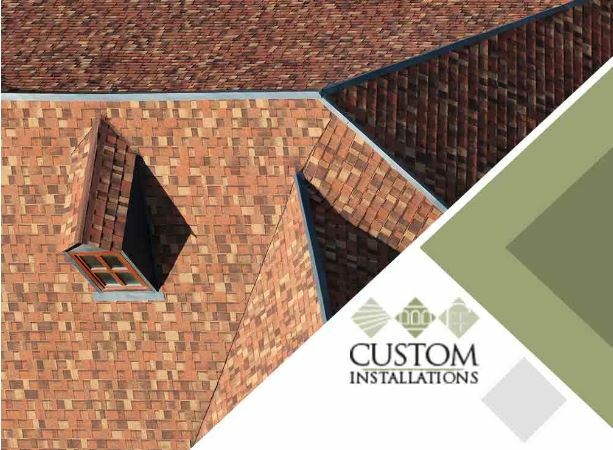 The best roofing services provider, Custom Installations, goes into the details. Three-tab shingles have a uniform look, giving the roof a rather flat texture that some people may find dull. On the other hand, dimensional shingles have a more dynamic texture that works for both traditional and contemporary home designs. Dimensional shingles are specially designed to last longer than your typical three-tab shingles. This is mainly because dimensional shingles are made of two or more asphalt layers, giving them more thickness and overall better durability. High-quality dimensional shingles can last as long as metal roofing or other more expensive materials. One of the main reasons why people have second thoughts about getting dimensional shingles is because they cost a bit more than three-tab shingles. However, because of the long-term benefits of dimensional shingles, you would actually end up paying less on roof maintenance and replacements over the years, making them more cost-efficient. Just like when hiring a siding contractor to ensure good siding, getting dimensional shingles on your roof will also require hiring certified roofing contractors. With our team of expert roofers equipped with the best roofing tools, your dimensional shingle roof is guaranteed to perform at its best. Let us help you get a dimensional shingle roof for your home. Custom Installations is the most trusted roofing contractor in Glenview, IL. Call us at (847) 979-5522 or fill out this contact form to request an estimate.